DOE Under Secretary for Science and Director of the Office of Science Raymond L. Orbach approves the formal completion of the U.S. LHC construction project. Members of Fermilab's Technical Division who contributed to the superconducting magnets for the LHC. The U.S. made vital contributions to the construction of the CMS detector. Image courtesy of Michael Hoch, Adventure Art. 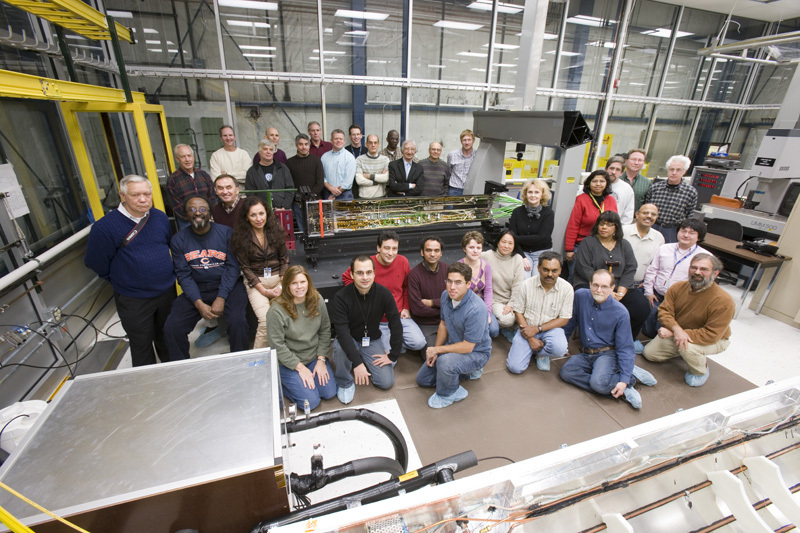 U.S. team members who built the forward pixel detector for CMS. The decade-long project to help build CERN's LHC accelerator, and the ATLAS and CMS detectors culminated yesterday (June 25) when Dr. Raymond L. Orbach, Department of Energy under secretary for science and director of the Office of Science, announced the formal completion of the U.S. LHC construction project. More than 1,200 physicists, engineers and technicians from 90 U.S. universities and national laboratories contributed to this significant milestone, officially known as Critical Decision-4B. "I would like to congratulate the physicists, engineers and technicians who made the U.S. LHC construction project possible," Orbach said. "The U.S. has made important contributions to this impressive international effort." 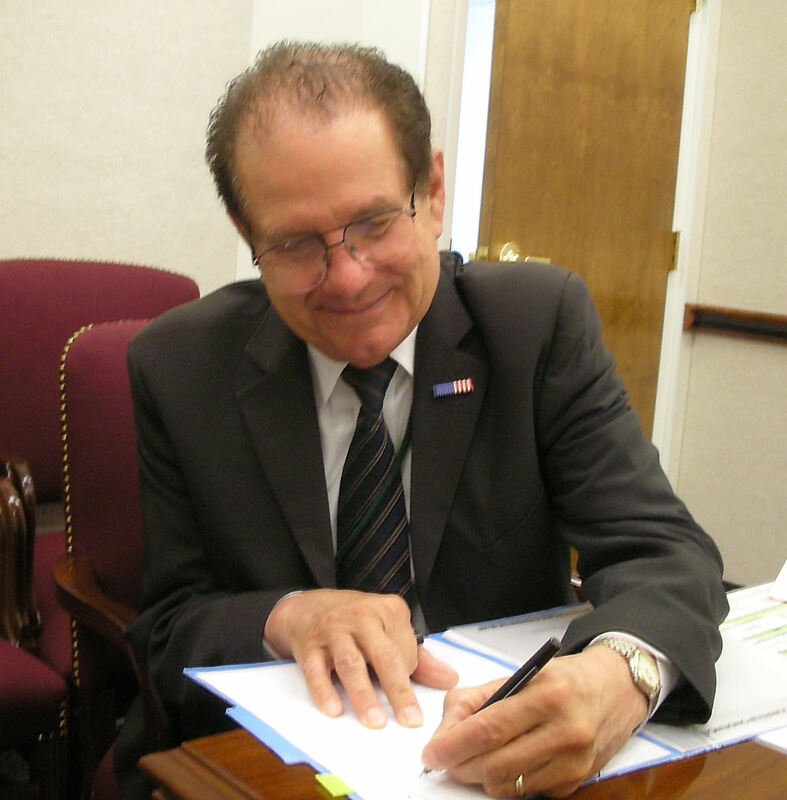 The DOE and National Science Foundation jointly funded the $531 million project. Close coordination between the funding agencies, U.S. universities and national laboratories resulted in the on-time and on-budget delivery of all U.S. components. "We are proud to have partnered with the DOE in supporting the U.S. LHC collaborations in this historic international effort," said Joseph Dehmer, physics division director of the National Science Foundation. "We also note with pride the excellent performance of the construction project, and we look forward to the period of scientific discovery that will result." The project provided a unique opportunity for the U.S. to participate in the largest collaborative effort ever attempted in the physical sciences. Fermilab served as the host laboratory for the U.S. CMS and accelerator programs. 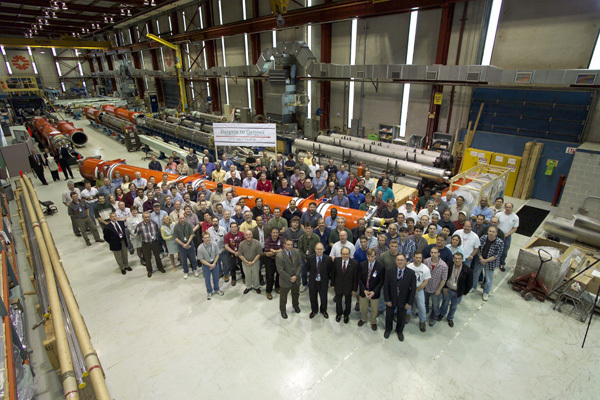 Brookhaven National Laboratory hosted the U.S. ATLAS project. Scientists from U.S. universities and national laboratories contributed components to all of the ATLAS detector subsystems and the data acquisition system. "It was extremely important for the projects to be executed correctly," said Fermilab's Hugh Montgomery, the associate director for research who oversaw the U.S. LHC program at Fermilab. "I know from conversations with our international colleagues on the accelerator, ATLAS and CMS that the U.S. contributions have been vital to the overall efforts." The accelerator portion of the U.S. LHC construction project included scientists from Brookhaven, Fermilab and Lawrence Berkeley National Laboratory. Fermilab, in collaboration with CERN and KEK laboratory in Japan, designed and constructed the focusing magnets for the four main LHC experiments. "The project involved design challenges among the most complex and difficult in accelerator science and engineering," said Fermilab engineer Jim Kerby, who served as U.S. LHC accelerator project manager. 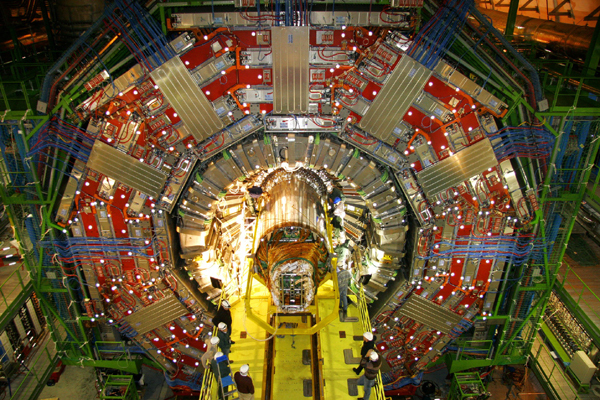 "It is gratifying to close the door on our initial contribution to the LHC." During the final portion of the CMS construction project, major U.S. contributions included the fabrication and installation of the endcap muon, hadron calorimeter, forward pixel and silicon tracker subsystems. U.S. CMS scientists also collaborated on the elecromagnetic calorimeter, trigger and data acquisition systems. "We followed a soup-to-nuts strategy and completed nearly whole subsystems at a time," said Fermilab physicist Dan Green, who served as U.S. CMS project manager during the construction phase. The forward pixel detector, the subsystem that allows physicists to precisely reconstruct particle collisions, is one of the last major components that the U.S. built for CMS. Experts from Fermilab and U.S. universities worked closely together during a period of two years to develop, assemble, test and deliver the complex subsystem. "The forward pixel is a first-generation detector of its kind and required a lot of coordination," said Daniela Bortoletto, a physicist at Purdue University. "The strength of our team allowed us to pull it together in a successful way." U.S. LHC scientists now turn their full attention to the research program in preparation for the LHC start-up later this summer.